WASHINGTON (CNN) - Sen. Bob Corker, the chairman of the Senate Foreign Relations Committee, said he had a "long, frank" conversation with Secretary of State Rex Tillerson on Thursday, and that based on the meeting, the secretary doesn't appear to be preparing to be ousted. "Maybe it's happening, but I don't think the secretary of state job is going to be open in two weeks. That's all I'm saying," the Tennessee Republican told reporters Thursday amid reports that the White House is considering replacing Tillerson with CIA Director Mike Pompeo. "We as a nation and the rest of the world need someone like Rex Tillerson in that position," he added. However, Corker later said that he'd be "embarrassed" if Tillerson was booted in the next few weeks, given his statement. Corker praised Tillerson's leadership and said his stewardship has been poorly portrayed in the media. "It's been evident to me that for some time, somebody is seeking to undermine his presence here. I don't know who that is. I know he's taken on some issues like the reform of the State Department. I know it hasn't gone in a spectacular way," Corker said. "Again, there's something underway," Corker insisted. "Again, I don't know who's doing it, but to discredit what he's doing at the State Department." 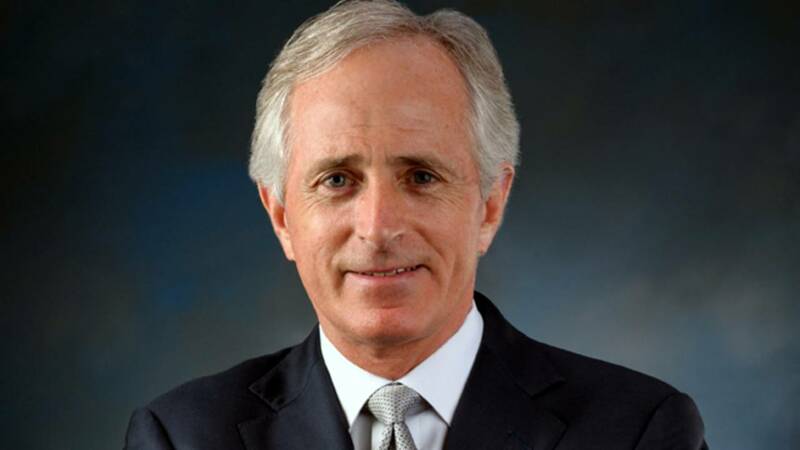 Corker has repeatedly bumped heads with President Donald Trump for what he sees as his undermining of Tillerson's diplomatic efforts, going so far as to say the President metaphorically castrated him with his "irresponsible" tweets on North Korea. Tillerson paid a visit to the White House Thursday. During an Oval Office appearance with the Prince of Bahrain but without Tillerson in the room, Trump was asked about whether he wants the secretary on the job. "He's here. Rex is here," the President said without further remarks on the topic. White House press secretary Sarah Sanders said in a statement later Thursday that Tillerson is continuing his work at the State Department. "As the President just said, 'Rex is here.' There are no personnel announcements at this time. Sec. Tillerson continues to lead the State Department and the entire Cabinet is focused on completing this incredibly successful first year of President Trump's administration," she said.